I run my Transformation Business support, systems, training, coaching, and consultancy platform with these affordable integrated automation business tools. I started writing what became my 'Work Life Wide Open' series of self help books in November 2015. This was the start of my Transformerpreneur* journey. I have struggled despite making the choice to work at this full time to turn it into my new career as a Self Help Author. In fact it is already my career, albeit without the income I was accustomed to in my past life as an entrepreneur. I have time, flexibility, satisfaction, fulfilment and creative freedom in abundance but income, not so much. Yet. My writing and books are not in support of another, more mainstream career. This 'sideline' approach is a proven business development and lead generation strategy for many who write to reinforce their credentials and their expertise in order to continue helping others more directly. I am working to release five books (two down, three to go) by the end of 2017 so felt given my context, and my schedule it would be a good time to start documenting my process and report on my progress. This blog will convey what I'm experiencing and learning but perhaps most importantly what works and what doesn't for Self Help and How To Authors and their books. Most of the advice and training available 'out there' being primarily focussed on fiction authors with a cursory 'this also works for non-fiction'. As such I have felt the recurring need for assistance, support and guidance (on what to do and what NOT to do because it's a waste of your time right now) specifically for Self Help and How To Authors. There seems to be a distinct lack of resources available. For example, after some time at this you'll discover like I did that most book promotion websites aren't that interested in Self Help and How To. Further, when they are they're not that effective. Treatment of Self Help and How To is more of an after-thought. So much so, many, of the higher profile sites won't even accept your book. This is just one small frustration and missed expectation of many that I'd like others to avoid or in a different, less costly way. In a 'perfect' world we'd all decide becoming a Self Help or How To Author is what we'd like or love to do. We'd then scour the bestseller lists and analyse countless keywords to arrive at the most lucrative subject matter, and title for our contribution to the genre. Thankfully, creativity, and our urge to write and communicate our insights and experience in this way does not fall conveniently into best selling categories and genres. How I can help? Complete the form below. Thank you! I'll get right back to you. Please check your inbox and confirm your email. I hope you find the contents of 'Break Your Busy - Set Your Creativity Free' (click image above). Right now I don't feel this 'if the duck quacks feed it' approach is in creative integrity unless of course it happened to align with my life, work and business experience and I could contribute something of lasting value and would enjoy the process above and beyond the prospect of it generating a few more book sales. The reality I have found is an awful lot of books tend to write themselves as it were and don't wait around for you to pin-point exactly who they are intended to help. Who exactly they will serve as they evolve and grow into the published and successful masterpieces we so readily envision as we sit hunched over our laptop until the early hours of the morning, is often the furthest from the writer's mind. How we work from both ends as it were to try and 'arrive' at our target reader to help give our work the best chance of succeeding (which if course is different for everyone) is constant work. My experience tells me this takes time no matter which direction you write from, i.e. serving a specific purpose, solving a particular problem for a certain body of people, or creating more directly from the heart and mind, a more intuitive form of communication that will resonate with the most unlikely reader quite independently from what may be trending in the moment. We might say that we can either write for 'consumption' or 'contemplation'. Both have their place, as no doubt a hybrid form might. Working with these likely potential dilemmas and conflicts that arise as we try to reach those that need our work is part of the Self Help How To Author Self-Publishing mix, for good or bad. I will talk about and explore this a lot alongside the mechanics and logistics of self-publishing because I struggle with it. It's a challenge for me. It's said that the most effective way to learn is to teach. So here I am. I continue to make mistakes and missteps and appreciate the need to keep an eye on my thoughts, beliefs and behavioural patterns that would hold me and my books back from reaching those that need them most. I hope this blog can become that for me and you, and ultimately for those readers we're all working hard to connect with and help. In closing, your questions, answers, and feedback are most welcome and needed. Please use the form above or leave a comment on a specific post. Over time, with your input I can steer the content to be as relevant, practical and effective as possible for all Self Help and How To Authors trying to leave a lasting and meaningful impression. P.S. In the meantime I have a gift for you. It can help you decide if becoming or continuing to be a Self Help Author is or could be your 'Real Work. It will help you find and keep the time to write. And last but not least I hope, it serves as an example of a reasonably successful Self Help How To 'permafree' publication complete with embedded 'reader magnet' calls to action. I will let you, the Self Help Author, Writer, and Reader, be the judge of how successful they are. Once again, your feedback is welcome. Sometimes we cannot, or will not see that which we don't want to and that remains obvious to others. 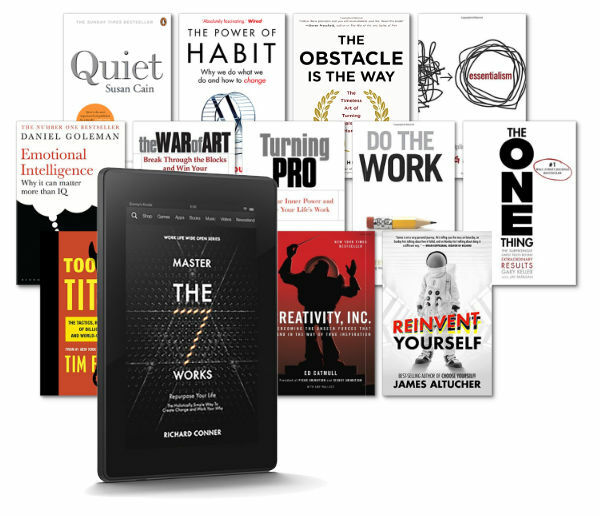 I hope you find the contents of 'Break Your Busy - Set Your Creativity Free' (click image above right), the Self Help Author Field Guide (sign up below), and this blog of value. Thank you. Avoid author pitfalls. Learn Self Help and How To Book Writing, Self Publishing, Marketing and Promotion. The best ways to build your Self Help How To Author reader list and get reviews quickly and easily. Coming Soon.